this trio translates great music that the audience loves. This summer, once again, Carl & Alan, the International Jazz Twins, take Hong Kong by storm with Ted Lo, Hong Kong's world class jazz pianist. Discovered by Donald Brown at age 17, Carl & Alan had fast forward development of jazz improvisation. 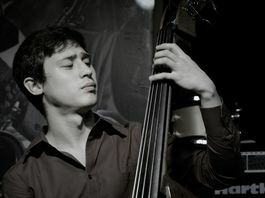 In 2013, they went back to Hong Kong, where they spent most of their childhood, to play jazz. The gift of Music connected them with Ted, who is a long time friend of Brown. Now 21 years old, having recorded their second album, the twins' playing style is even more impressive and passionate. This cross-border and cross-generation trio creates a fresh and inviting sound of jazz, traditional yet contemporary and modern. Witness! Be Moved! Get Involved! Carl & Alan Maguire + Ted Lo presents jazz in motion. Alan, 21-year-old real deal bassist. He is known for an energetic, but also sensible and tasteful playing style. Ted Lo graduated from the Berklee College of Music, Boston, with a degree in Arranging and Composition in 1976. 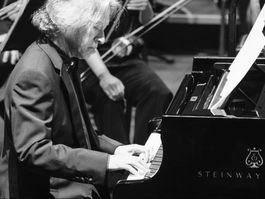 He moved to New York City in 1979 where he started hascareer as a freelance jazz pianist. His first major jazz gig was with the group Herbie Mann and Family of Mann. Thereafter he joined Ron Carter Quartet. Since then he has worked and recorded with numerous artists such as Michael Franks, Herbie Hancock, Joe Lovano, Dave Valentine, Michael Brecker, Tania Maria, Gregory Hines, Eric Gale, Flora Purim and Airto, Phyllis Hyman, Noel Pinter and Astrud Gilberto among others. Lo is now residing in Hong Kong and continue to establish himself as a diversified musician, composer and producer in all areas of the music industry. Carl & Alan are twins who were born in Tokyo from a Japanese mother and an American father. They grew up in an international environment in Hong Kong from ages 3-15. They started to play instruments at age 9 and by age 14 they knew they wanted to make music their profession. They played in a band at school and their farewell live before leaving Hong Kong was a full house performance. 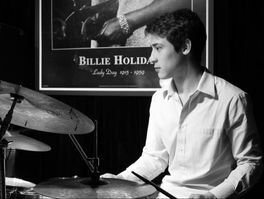 They moved to the vibrant music city of Memphis, TN in USA at age 15. They arrived in Memphis determined to pursue music and soon after they joined the world renown Stax Music Academy and found jazz waiting for them. They learned to improvise sitting in at jazz clubs in Memphis. At age 17, Donald Brown discovered them during his university recruiting tour and they became his pupils. In 2014, they recorded their first album titled ‘The Sound of Music’ with Kirk Whalum as the guest artist and Donald Brown on piano/producing. They have been touring in Japan and Hong Kong, their home countries every summer. In the summer of 2016 they played their own concert with Yosuke Onuma, one of Japan's premier guitarists, for a packed house of 400 people in Akita, Japan. They are studying under Brown at the University of Tennessee to refine their skills and widen their musical perspectives to deliver their own sound of music. In 2017, they recorded with Aaron Goldberg, Greg Tardy and Bill Mobley. The producer was Brown. They have lived in 3 countries and traveled to many more. With their international experience, the world is their stage and only the sky is limit.